Festival stage for performances of the "Bard on the Beach" Shakespeare festival. 520 seats. 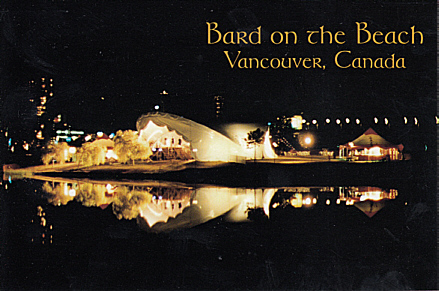 Front Text: "Bard on the Beach, Vancouver, Canada"
Reverse Text: "Vancouver's annual Shakespearean Festival plays all gummer lon overlooking English Bay against a spectacular backdrop of city, sea and mountains."